Direct CabCall is a one-stop location where you will be able to find all your local Drivers. No dispatcher, No calling, no waiting on hold, direct from passenger to driver! Remember taxi cab apps only work when both drivers and passengers are logged on. So, send out invitations to your regular drivers and your friends. Also, after booking a trip with a favorite driver go to "History" select your previous trip and mark your driver as a "Favorite." Now, when using "Send 1 Driver" your driver may be located by selecting "Favorite Driver." Really cool stuff! Also, you will find most of the answers to your questions on our website and by checking Passenger or FAQ tabs. If you have any additional questions, comments, etc. we want to hear from you! Email us at: directcabcall@gmail.com. Direct CabCall provides services to connect passengers and drivers. All drivers are independent contractors. Drivers are not Direct CabCall employees, but are using our services just as you are using them. As part of our commitment to "Ride Safe" all drivers are affiliated with a taxi cab company. (You may check the company's disclosure of documents by selecting the tab "Fleet Documents.") When checking Fleet Documents call your local authorities if necessary and report any unlawful activity. Taxi cab drives are screened with proper background checks and must operate lawfully in their jurisdiction. However, as with any taxi driver you are using drivers at your own risk. So, always verify that your driver is lawful in your jurisdiction with proper insurance, proper identification, and is safe. Also, use all tools provided by Direct CabCall such as: you may reject a driver at any time, call to confirm, check Passenger Forum, keep Private Notes, and select your Favorite Driver. Ride Safe not RideShare! Our next app version will include P2P (peer-to-peer), passenger to driver Fare Payment. Coming Soon - Driver Certifications: Allows passengers to verify company and ID of drivers. Note: All drivers are Independent Contractors (see: Terms & Conditions), Reject any driver you are not able to verify. Thank you for your patience as we work to provide these new services. Nada – Nothing-Zero. PAY ONLY YOUR TAXI CAB FARE! No fees period, and no surge pricing. 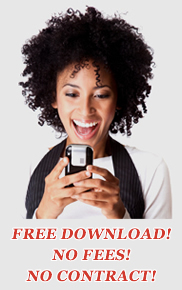 Download your “Free App” today! * Note: Always uninstall previous version before installing new version. Special additional Features & Services, if selected – fees may apply. No hidden fees or charges. Receipts are automatically sent to your email address and updated on your myAccount. Cancel account at any time. WHY? Completing your registration will require you to "Send Invitation." This will get you faster, regular, and reliable service. HOW? Log in to your Guest Account, use Tool tab (upper left icon), then scroll down to "Complete Registration." Another user in your local area is what creates Automatic Local Activation. There must be at least one (1) local driver and one (1) local passenger registered and logged on for local service to activate. The “Complete Registration” reminds and encourages you to Send Invitations to local (or non-local) contacts to join Direct CabCall. As a Guest Passenger you will have six (6) anytime uses, but before or after expiration must “Complete Registration.” Completing your registration is simple, just select "Complete Registration Now" and send out at least one (1) invitation to a contact. "Go Spartans! Go Direct CabCall!" Direct CabCall is signing-up safe and reliable Lansing area taxicab drivers to have them readily available to MSU Students. With Direct CabCall your taxicab will be available and ordered “In ten seconds or less!” No dispatcher. No waiting. Your request will go directly to the driver. Not in Lansing or at MSU yet? Download, install, and set up your account today. Then "Complete Registration. Use our in-app "Send Invitation" feature to start getting your local area hooked-up. Where Does Direct CabCall Work? TAKING A TRIP OR STAYING HOME? Direct CabCall provides you service EVERYWHERE -WORLDWIDE! If your Service Button is green then drivers are logged on too, and you've got service in your local area whether at home or traveling. How Do I Get FREE Direct CabCall? 1. Simply download and install Direct CabCall onto your device (optimized for cellphones, not tablets). 4. At the Explore screen, if at least one (1) driver is logged-on in your local area, If no driver is logged-on in your local area your Service Button will be red. The green Service Button is Automatic Activation and will activate if drivers are within about 35 miles of your location. NOTE: You may send an invitation at any time to any of your Contacts by going to your Tool tab (upper left) then selecting "Send Invitation." Fully Registered - Indicates Drivers are available (logged-on): Unlimited usage. "In 10 seconds or less!" 1-Tap "Broadcast All Drivers" booking. With 1-tap View Status & E.T.A. countdown display of arrival time. All Drivers will receive your request. Your Service Button will display "Active Status", then just tap the countdown button or select "View Status." You will then see a Service Processing yellow "Tap Here" Service Button. When it turns green tap the green Service Button to view your complete booking details. "In about three (3) seconds! ": If a driver has Auto Book turned "On" your request will be completed to the nearest available driver instantly. Your Service Button will immediately display e.t.a. countdown, then just tap the countdown button or select "View Status" to review your complete booking details. Drivers may not see your icon on their map screen or be able to book your request if your Preferences do not match the driver's preferences. To set your Preferences go to tool tab (upper left), select "Set Passenger Preferences" then select "Reset to Default." This will assure that every driver will see your icon. WHEN POSSIBLE ALWAYS "RESET TO DEFAULT." Loggin In and Out: If your are using a second cell phone to occasionally log into an existing account registered to another passenger, it is possible that your icon may not be visible on any driver's map screen, or that you may not be able to book a taxi using "Broadcast All Drivers." If this occurs, both passengers should log out and only the actual account holder should log in. This can also happen if the profile address is more that 100 miles from the actual location of the passengers cell phone. To correct, go to Profile Setting and create a local address. First, your service light must be "active" (green, not red). 1. E-Hail All Drivers 2. Select 1 Driver. 3. E-Hail A Fleet. 4. YELP My Destination. Broadcast All Drivers Simply tap on the active service light (green or yellow) and your request will be sent to all local drivers who have the Direct CabCall app and are logged on. If a local and available driver has "Auto-Book" turned "ON" with stable wifi or data connection your order will be completed in about 1.5 to 3 seconds to the nearest available driver. Also, your Service Button will begin an e.t.a. countdown. To view your completed order Tap the Service Button again or tap "View Status." If no local driver has Auto-Book turned "ON" you will receive a notification that your order is processing (waiting for a driver to accept your request), your Service Button will display "Tap Here," then a yellow Processing Service Button. Your request will be visible on all driver's map screen for their selection. As soon as a driver accepts your request your Direct CabCall Service Button will change color to green, just tap once and your booking is now complete. Your screen will display “Status: Booked” with the full details of your request. Select & Send 1 Driver Now - Simply tap on “Select & Send 1 Driver Now” and you will be directed to a map screen where available drivers are displayed by various colored icons. Simply tap on your selected icon and those driver types will populate on your map screen. Green (Bid Available) – Available to take a passenger. Tap the icon on the map screen and then tap the popup “Confirmed Driver.” Follow the prompts until you receive “Order Confirmation.” You will then receive “Status:Processing,” and a a yellow Direct CabCall Service Button.This means your request has been sent out to that one (1) selected driver. As soon as that driver accepts your request your Direct CabCall Service Button will change color to green, just tap once and your booking is now complete. Your screen will display “Status: Booked” with the full details of your request. Orange (Bid Processing) – This driver is currently processing another passenger, but may become available. Red (On Call) – This driver is currently transporting another passenger, but may become available. Star – This is a “Favorite Driver” designated by you after going to in-app History. So, now you have discovered a favorite driver, how do you find that driver next time? Mark your "Favorite Driver" by selecting "History" then select a previous booking. At "Trip History Details" put a check mark next to "Favorite." Now when using "Select & Send 1 Driver Now" you will be able to find your Favorite Driver (if your favorite driver is logged in) by tapping on the Star with "Favorite Driver." When your request is at Status:Booked use Glympse™ to Map View your driver in real-time as the driver approaches your pick up location, includes: driver's picture & name, expiration time of the Glympse™, eta, mph, status bar. NOTE: Glympse™ is not available if your order has been Auto Booked by the driver. Use "Select & Send 1 Driver Now" to select a driver, input data such as pickup or destination address, read your private or forum notes, or to manually input a Pickup or Destination address. You will see color-coded taxicab designations showing the real-time GPS location and availability of every Direct CabCall taxi cab driver in your local area. Order a taxi cab immediately by tapping on any taxicab icon on the map. FAVORITE DRIVER: When using "Select & Send 1 Driver Now" then tapping on STAR "Favorite Driver" you will be able to easily locate your favorite driver. What do I do if I get a wrong address? A booked "wrong address" is generally caused by the overall quality and efficiency of your cell phone and provider. 1. Use "Change" to correct the address. A notice that you have changed the address will automatically go out to your driver. 2. If the wrong address is near your actual pick up address, just call your driver and direct him or her to your location. 3. Or, select "Done" then try re-ordering. 4. You can also log out and turn your device completely off,then back on (this will help your device triangulate your location via the nearest cellphone towers or wifi), then re-order. 5. You may also select "Done" which will cancel your order, then use "Select 1 Driver" to manually enter your address. NOTE: Some wi-fi providers will cause your cellphone to return their address instead of yours, as the "pick-up address." This may be many miles from your actual pick-up address. To correct this, use one of the options above. You may also turn your wi-fi off and do the booking by data only or use "Select 1 Driver" and when prompted "Enter Address Location" manually. You must be logged-in to your Direct CabCall app to View status of a request or to order a taxi cab. To Exit app without logging out, go to "Explore" screen. Using your cell phone back function you will receive: Are you sure you want to exit DCC? Selecting "Yes" will keep the app running in the background and you will be able to access the other screens on your cell phone. You will also remain visible to Drivers. Tapping the DCC icon will bring up the Direct CabCall "Explore" screen. Warning: All GPS and Location Services heavily consume battery power. After your order is at "Status Booked" Direct call your driver at any time by tapping on the green phone icon. Cancel your fare at any time with no fee. Receive E.T.A., featuring Glympse™ navigation with driver's name, minutes to arrival, speed of travel, plus map view of driver in real-time. Also, picture and name of driver, a direct call feature to driver, and private and forum notes about driver, cancel an order at any time. If your e.t.a has expired and your driver hasn't made arrangements by contacting you, you may select "Failed Pick-up" and your driver is locked-out from receiving another passenger for 30 minutes. CAUTION: Selecting "Failed Pick-up" may adversely affect the acceptance of your future requests. Direct CabCall takes your privacy very seriously! Your location is only temporarily accessed for the purpose of directing your driver to your location. It is never shared, accessed, or stored by Direct CabCall. COURTESY PRIVACY NOTIFICATION: While you are logged in you are visible on every driver's map screen. So, as an additional privacy feature you may receive a courtesy notification, "For your privacy please, log-out of your Direct CabCall (or any Private Label) app or your online MyAccount, if not in use." If you remain logged in for too long the notification will appear to remind you to log out to preserve your privacy and the battery life of your cellphone. YOUR NAME: The name that you display to your driver is entirely your choice. YOUR PHONE NUMBER: If you choose, it is not necessary to display your phone number to your driver. You may use any anonymous non-active number. Note: If not using your actual phone number, your driver will not be able to contact you by phone. YOUR PICTURE: The picture that you display to your driver is entirely your choice. To edit any of the above features go to Explore screen, then Tool Tab (upper left). Select "EDIT." Note: When drivers view your name, number, or picture it may positively or negatively affect your ability to get a taxi cab. To add comments go to "Explore" screen and select "History," then tap your previous trip history. You may add public comments on the "Passenger Forum" or your private comments on "Private Notes." Only you will be able to access or see your private notes reference this driver. Direct CabCall provides the Public Forum as a free speech zone primarily for the purpose of your health & safety. Please, be prudent and respectful when posting to the Public Forum. See: Terms and Conditions: 9. Content Submitted or Made Available for Inclusion on Direct CabCall.com. You may also designate a "Favorite Driver" by a check mark in the box. Now when you go to "Select & Send 1 Driver Now" you may locate this driver (if driver is available) by tapping the "STAR Favorite Driver." Using your Direct CabCall app Tools icon (upper left) select "Set Driver Preferences." There are various preference settings including van or car, handicapped van, non-smoking, grocery stores, baggage, multiple stops, and yes, bars. Selecting preferences will match your preferences to that of drivers. Not able to book under your Preferences? "Reset to Default" to obtain the largest possible driver selection. You may also set preferences by logging into your account through the website. Maintain private notes about previous drivers "The Good, The Bad, and the Ugly" that you may access when selecting a driver from your map screen. You may also access all notes by logging into your myAccount online and selecting History. Provided by Direct CabCall. For your safety you may check the documentation of your fleet or driver at any time by scrolling to the bottom of our home page and selecting Fleet Documents. If you choose, upload your picture to make it available to your driver. Note: Do not upload your personal picture if your local or state regulations require drivers to service passengers without regard to protected classes. Set up your payment method and pay your driver without using cash. You may make your payment at any time during your trip. *Void where prohibited. Small transaction fees may apply.